This badge holder can identify the major IBM i software and hardware components and can access and communicate with this system. 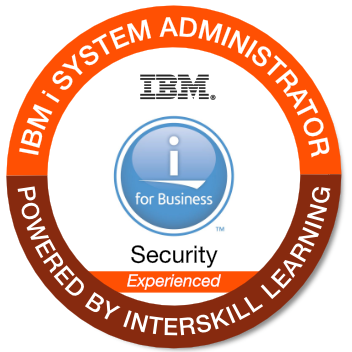 They can describe the core tasks performed by the System Administrator and explain the basic system configuration, backup, and recovery requirements for an IBM i system. This person can create and manage security protocols associated with users and system resources. They can also implement and manage security auditing requirements and create related reports.